Almost every entrepreneur goes through the process of making a business plan. This document is traditionally considered an idea-validating tool. It contains information about target goals, management, financing, and other essential aspects. Generally, investors make a decision on financing according to it. At the same time, the document is normally packed with a bunch of information irrelevant to grasp the intricacies of the business. Moreover, Steve Blank claims that it’s a rather ineffective as a tool for analyzing customers’ interests. And what if you are interested in assessing your idea’s vitality rather than searching for money? In that case, it is better to peel off unnecessary data and concentrate on fundamental points of what you can offer on the market. For that purpose, it is advisable to check out a tool that acts as a one-page business model and offers more capabilities for analysis. Generally, the term denotes what is needed to monetize an idea. Essentially, it is a course of actions aimed at achieving profitability. A typical model defines a startup costs structure, marketing strategy, financing sources, target customers, and other constituent parts of entrepreneurship. The canvas provides a diagrammatic representation of them. As a result, entrepreneurs obtain a strategic tool to evaluate the lie of the land. Your introduction to the tool should begin with a short insight into its underlying document – the business model canvas. Its inventor, Alexander Osterwalder, insists that the business plan itself is a time-waster. He offers an improved and sophisticated solution for idea analysis from different perspectives. In the canvas, entrepreneurs can break down a business model into nine essential structural components to discover potential risks and deficiencies. 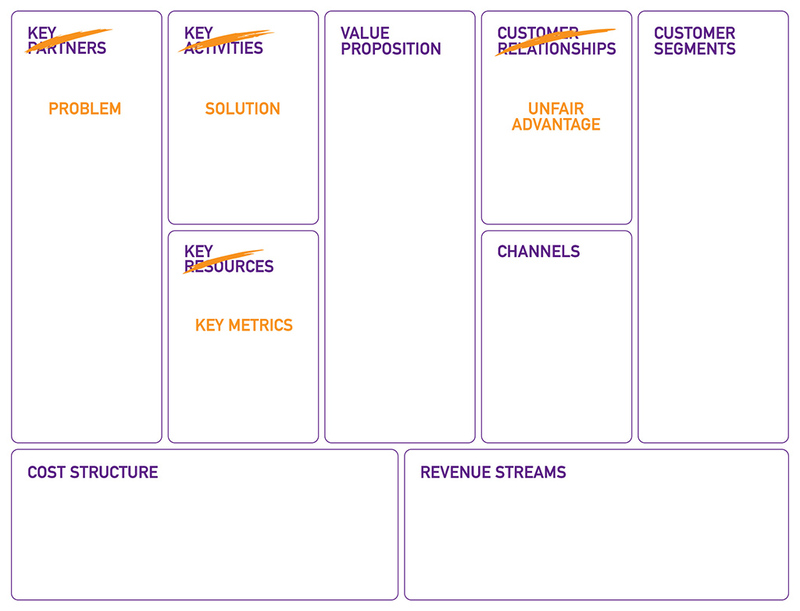 MasterCard, Fujitsu, Medtronic, and other prominent names already use the business strategy canvas. This fact should lower potential skepticism about the usefulness and necessity of the tool. A reasonable question is what sort of benefits it can provide. right-hand ones are associated with the market and lie beyond the entrepreneur’s control. VP is a constitutive component that gives a reason for the business to exist. The canvas moves you to cover a wide scope of issues and tasks to comprehend the actual market demand and satisfy it. To win out, you ought to think about the customer first and then about the product. The tool’s aim is to clear away irrelevant data and focus on essential points that promote the business’s prosperity. Attention is not distracted due to graphical implementation of the tool. You are beaconed across the canvas blocks and their interrelation in a structured and systematic way. As a result, you get the picture of your business and the better understanding of its weaknesses and strengths. Do you recall how much time you spent on your multi-page business plan? With the canvas, you won’t notice the time span at all. Its key principle lies in a qualitative approach rather than quantitative. You have an understanding of what should be specified in each block and you do it. Everything is simple and clear. Besides, once your canvas is filled in, its lifetime is not over. This document is updatable, and it is a good idea to make amendments to it over time. The canvas won’t guarantee that your idea will prosper. However, it gives you an opportunity to prevent failures based on risk identification. The analysis of revenue streams, target users and the product/service to offer gives enough input data to elaborate a fruitful marketing strategy with most of the risks measured. Forewarned is forearmed. And the canvas is a decent tool to prevent your from failure. What if it is necessary to share your business canvas with investors, partners or teammates. A possible concern is whether all these parties involved will catch up and interpret your vision discovered in the document. The tool has an intuitive nature and creates a common language for all participants and third parties. Each block specifies what should be in it. This precludes any misinterpretation. It is a great solution, but it is more applicable for existing businesses than startups. 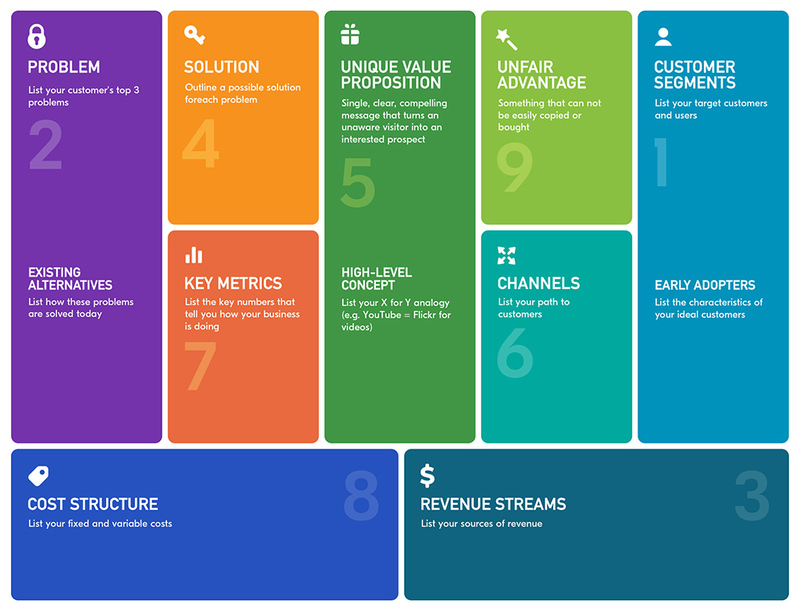 New entrants should consider a startup canvas. Ash Maurya, the inventor of this tool, looked at the Osterwalder’s canvas from a different perspective. He changed a vector a bit to obtain a problem-solution approach to business analysis. And here is what he’s got. Generally, this document looks like the adapted tool we described above. The difference lies in the focus shifted towards the practicability and viability of the offered idea. The Ash Maurya lean canvas is intended to evade a failure of marketing a service or merchandise that nobody will be interested in. Structurally, it is identical and consists of nine boxes. However, the changes it went through were essential for general perspective and applicability. The replacement allows for using product-centric terms and describing the lean business model in a common language. In addition, the application vector of the tool was shifted, which made it suitable for blooming startups. The Osterwalder’s canvas gives a holistic view of the business and lays emphasis on a strategic conversation with related parties. It lacks orientation at the customer and requires the value proposition canvas to make up the deficiency. In this video, you’ll find a decent explanation of what it is and reasons to consider. In that regard, the lean business canvas seems more practical as it follows the problem-solution approach with customer focus. When you follow a lean approach, you aim at agility and fast growth of your idea. These hallmarks are achievable with the lean canvas template. First, it is a time-effective tool, which does not require a great deal of time to fill it in. Second, the final document is not final because you can and should update it in case of new input data. The tool is inspired by the lean startup concept. As you know, it foresees a quicker idea-to-product transition compared to a regular method. On that account, the key focus is placed on fast time-to-market. The canvas is a fit if you’re aimed at the delivery of the much-in-demand product in the fast-changing market. When you understand your customer’s behaviour, you can grasp what he or she really wants and implement it in your offer. The canvas allows you to consider various customer segments to cover a wider range of potential product users. The focus is made on the viable metrics instead of the useless ones that give an illusory perception of the offer. Key metrics in lean canvas rest on minimum success criteria like conversion rate, number of subscribers, referrals, etc. We are done with the canvas introduction and ready for hands-on work. The following chapter guides you through the structural units and describes what data is meant to be filled in, as well as the recommended order. Here you can enjoy the lean canvas explained through the Uber example as well. Let’s start by defining the target customer. Many startup founders suffer from a common misconception called “everybody needs my product”. Narrow down the customer segment as accurately as possible. You’ll be able to expand it later on if you take off. It is also essential to separate users and customers. A good example is an application for kids, where the users (kids) and customers (parents) are different segments. In this case, mark each category in different colors. In the lower part of the customer segment canvas box, there is a supplementary section. Here you need to specify the actual people who will deal with the raw product and are the first feedback providers. If you, as a developer or startup founder, are going to test the product as well, feel free to put your name here. In this box, we refer to customer problems that your product is meant to solve. In case you have several customer segments with different problems, you may make separate canvases for each of them. The Problem box has the Existing Alternatives section in the bottom. It is designed to contain your competitors that deal with the same problems. These are your rivals to compete with and win their clients over. The idea you’re going to implement must bring revenue. So, in this box, you need to specify the expected sources of income. Usually, entrepreneurs use the cost-based approach where you calculate costs and add a margin. However, we recommend you rely on the average value required for the client. To achieve your product viability on the market, make sure that your pricing is more appealing than those of your competitors. All problems you specified in the neighboring box should be matched by the relevant solutions. It is recommended to describe your product in a non-technical way to explain what experience the customers are meant to obtain. Cooperation with your target customers will let you learn their needs and deliver the most attractive offer. It’s no accident that this structural unit takes the central place in the canvas. The Unique Value Proposition is a brief message, which is intended to attract customers’ attention. The idea is to describe the uniqueness of your product and show its key difference from other alternatives. The customer should understand why he or she needs and wants it. In the bottom of the unit, there is a place for creating a high-level concept – a short and easy-to-grasp statement about your product. It’s a kind of elevator pitch you, as well as your team members and customers, will use. Even the most groundbreaking offer on the market can fail if the clients are not aware of it. In this unit, you should specify communication media to reach out to your target clients defined in the customer segments block. Lean canvas channels may include offline/online and free/paid options to deliver the information about your product to the end-user. Examples are emails, various sorts of advertising, blogs, content marketing, broadcasting, etc. Whatever your startup deals with, it is recommended to define key tracking metrics to measure the progress of your business. Initially, you can do with one of them – minimum success criteria, i.e., the outcome that can be deemed a success. Later, your canvas may be expanded with other vital metrics. All sorts of costs find their place in this box. These may include costs for office rent, hardware, recruitment, market research, and so on. The lean canvas model does not force you to look ahead in the long term. It’s enough to narrow your time window to a particular milestone like a product release or the first dozen customers. Once the box is filled in, you can balance it with the income sources. By doing so, you get answers to such questions as “how many sales are required to pay off the investments?”, “where is the breakeven point?”, and others related to a winning outcome. This term denotes a special thing about your idea that your competitors are not able to copy or obtain in any possible way. Unfair advantage may include a good reputation, exclusive access to some data, personal authority, community, and other extra power. It’s not necessary to seek out your competitive advantage right now – you can fill this box later when some other things start going your way. After you’ve filled all the boxes, your work with the canvas is not over. Keep in mind that this tool can and needs to be updated once you get new feedback from your customers. Both tools we’ve described above deserve your attention. Be either a successful entrepreneur or a startup founder, it’s worth catching up on the benefits each canvas can give. The lean canvas is not akin to the traditional business plan. It focuses on the customer needs and the way the product will be able to satisfy them. 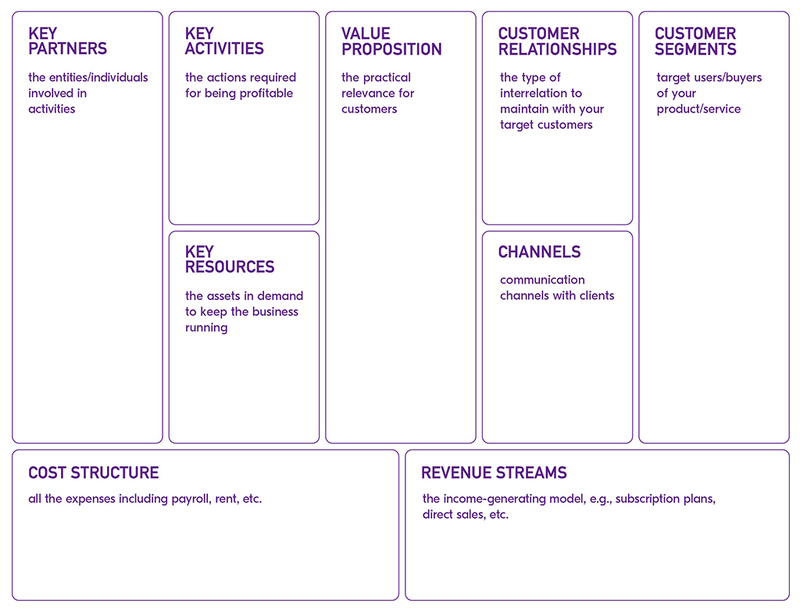 Its basis, the business model canvas, focuses on improving the essential aspects of the existing business. Eventually, they follow a single aim – to assist in your endeavors to achieve success. And the Railsware team wishes you the same.